Reading takes too long... just show me the 21 photos from this article. Yikes, how did the holidays sneak up so fast this year? 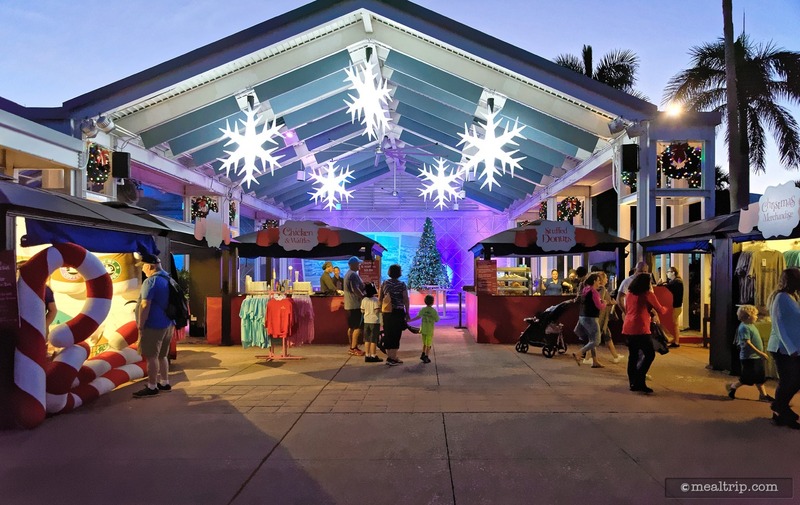 SeaWorld Orlando has quickly changed over from their very short Craft Beer Festival to their annual "SeaWorld Christmas Celebration Festival" … and we love it … because there's food and hot toddies and so much more! 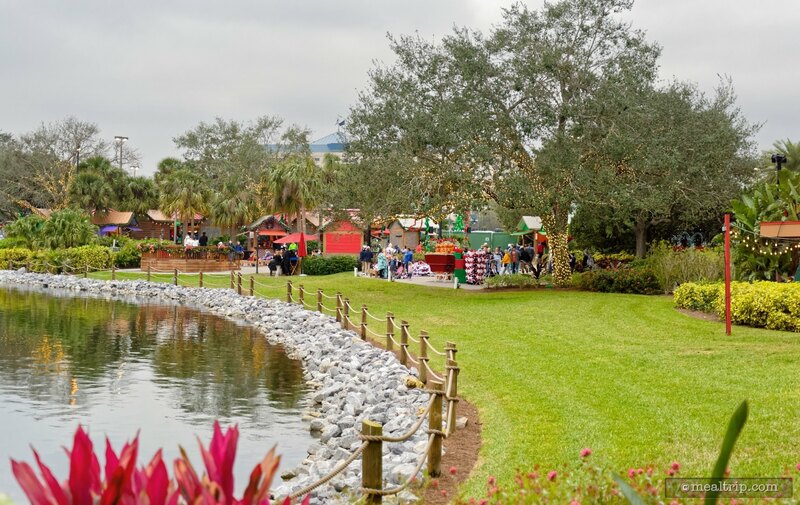 The main festival area at SeaWorld, Orlando (from a distance). The "festival area" (because I'm not sure what else to call it) is tucked away in a little area at the front of the park (even though there's "festival food" all over the park, to me, this is where all the best festival food and beverages are). One of the first kiosks you'll see as you walk into the festival area (on your left) is sort of a "guest services" booth for the festival. This is a great place to purchase a "Tasting and Brew Sampler" lanyard! 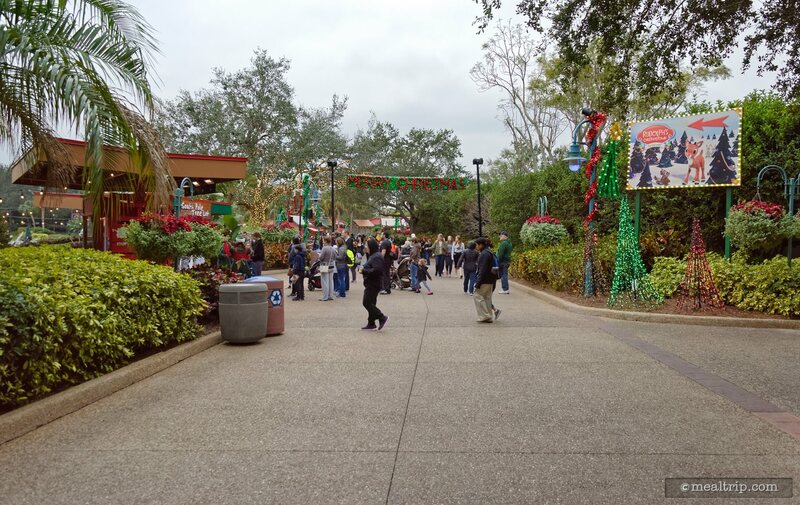 Once you get into the park and sort of keep walking right you'll eventually find a walkway and gate to the main holiday festival area. Last year, the area didn't really open until a hour before sundown… not sure about this year, but my guess is it's the same. It's been that way for a number of years now. 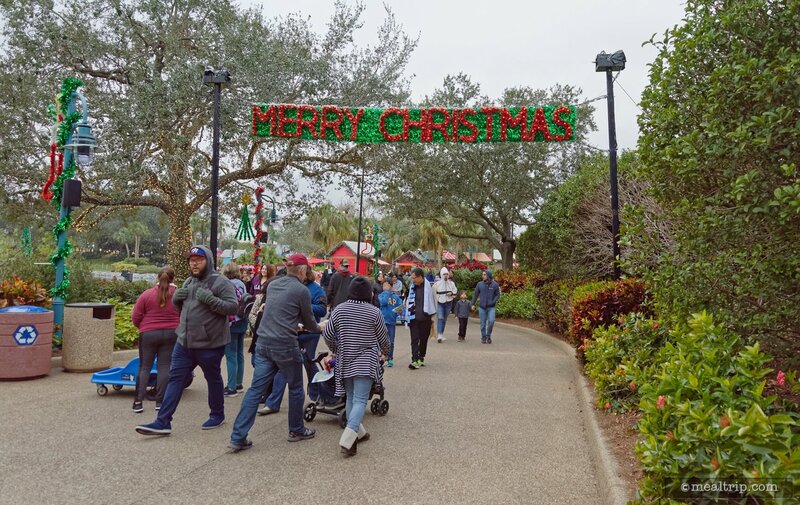 The main festival area is just beyond the "Merry Christmas" sign. 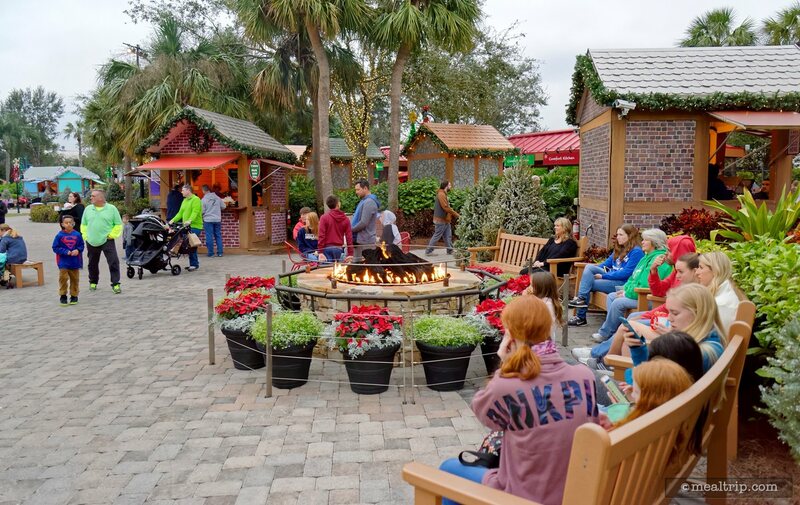 If you enter the area from this side, one of the first things you'll see is a fire pit seating area with a mini-stage across from it, where several times a night, carolers (sort of) will perform. Ooooo... the fireside seating area feels so good on a blustery day (which we don't get too many of in Florida), but still - you get the idea! 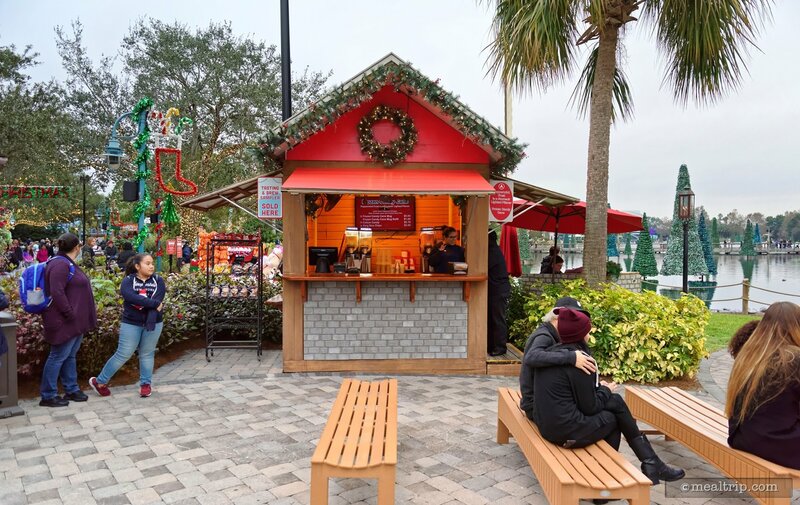 This smaller booth is located in the fireside seating area, and offers up a drink called a "Frozen Candy Cane", which contains Vanilla Vodka, Peppermint Schnapps, White Chooclate Liquer and some Crushed Candy Cane for good measure. Walking past that, you'll start to see some of the food booths. 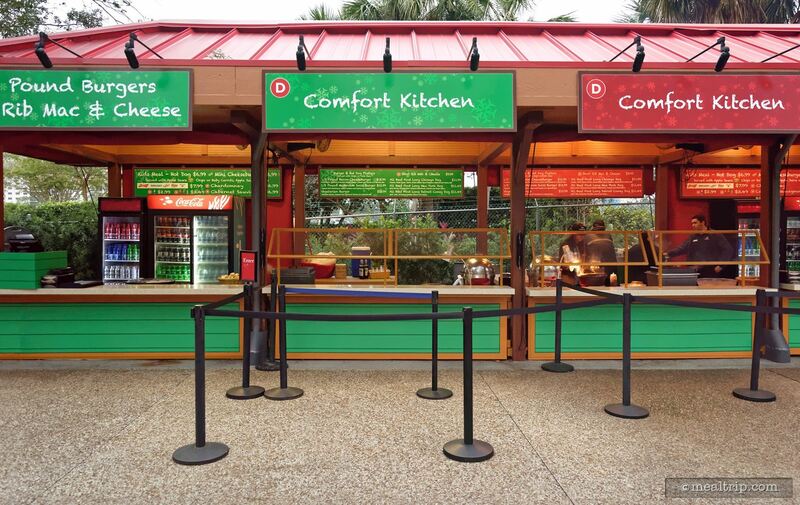 There's kind of a "main grouping" on the right side, each of the walk-up areas is marked with the food items that are available. 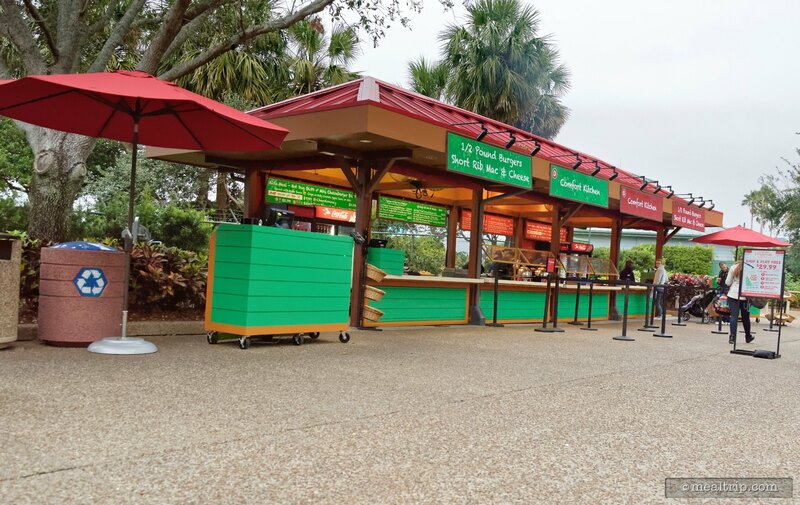 There's a large grouping of kiosks that make up the main food and beverage area... each has a menu board under and behind the main sign, so you can read about what's available. Way back there in the back (sorry, I know it's too small to read) are the menu items and prices for each walk-up kiosk. Many of the items in this area are available as full-plates or as "samples" as part of the sample lanyard system. 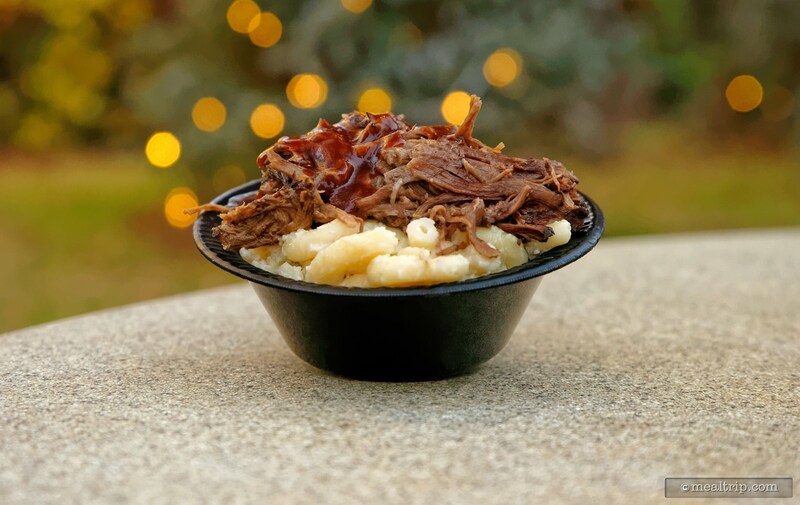 Mmmmmm... you really can't go wrong with BBQ Pork on Mac & Cheese. It's sooooo good on a cold day! There's a whole row of these booths on that side of the walkway. There's a second grouping of buildings along the "festival food trail". 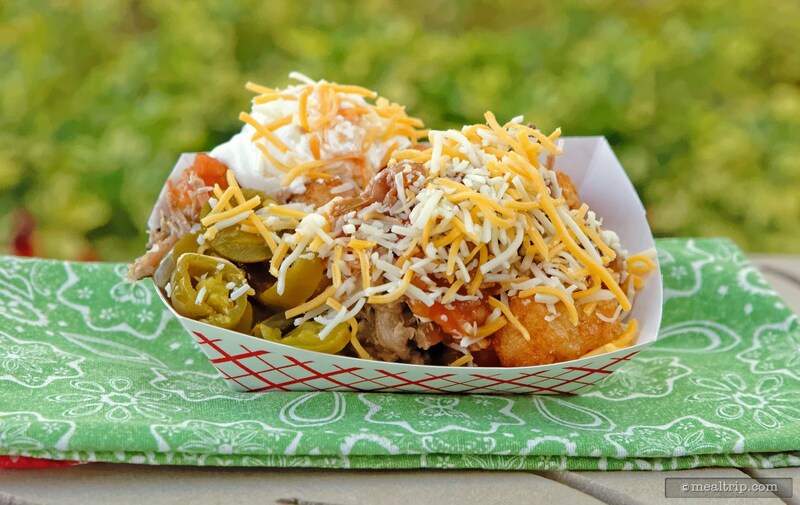 And here's where I found this food boat of Totchos... it's like all the stuff you can get on Nachos, but on top of tater tots and not chips! There's also some amazing pulled pork under all of that! 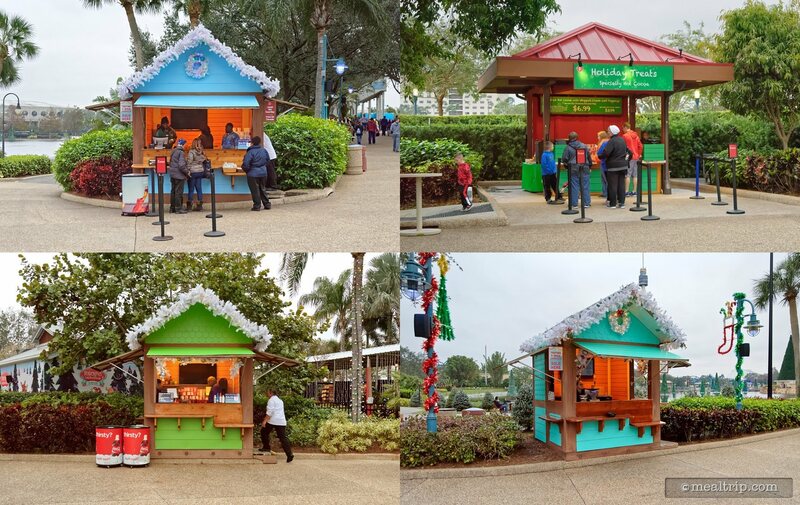 You'll also find many little booths here and there… most of those serve "adult" beverages or a single dessert (the larger booths generally have multiple items and beverages available). 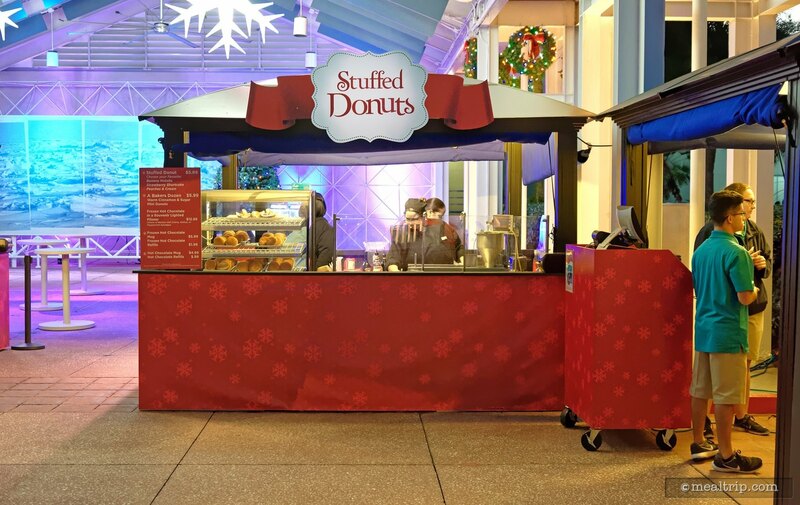 The smaller booths in the main festival area often feature "adult" beverages, or a single dessert item. 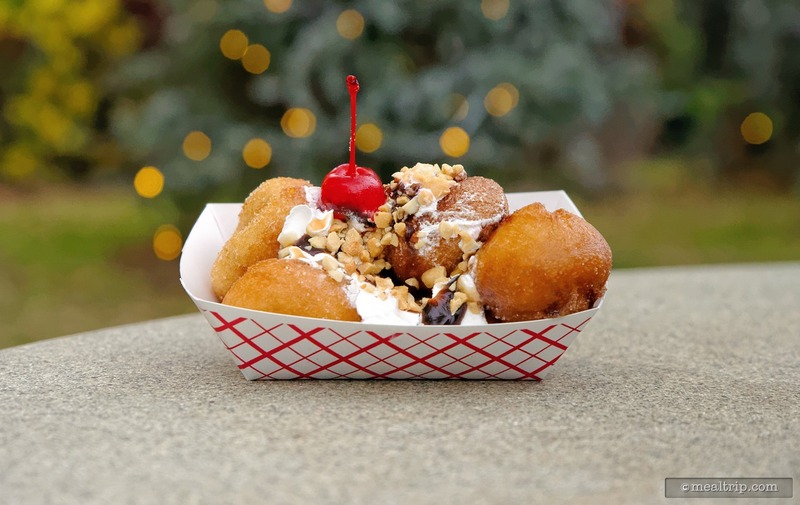 A Hush Puppy Ice Cream Sundae? Yes please!!! As I mentioned, there's a few booths beyond this area as well. If you keep following the trail, (past Bayside Stadium and down into the Wild Arctic area), I found this great covered area with two booths under the giant roof! 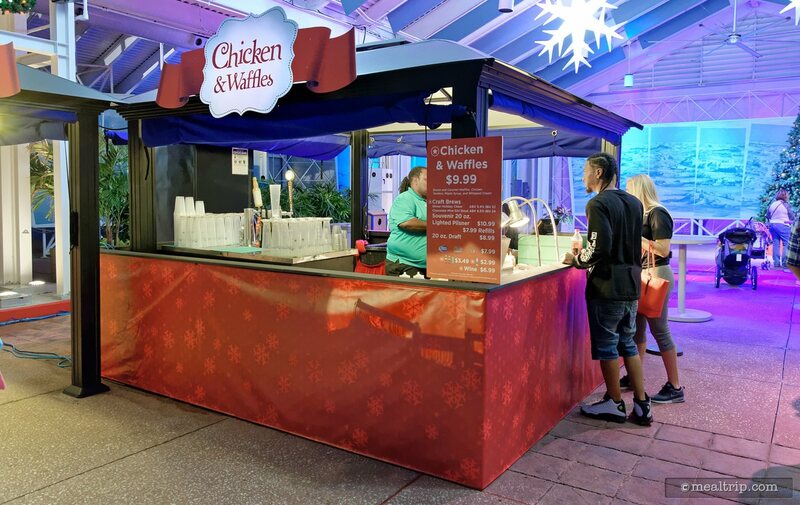 You know this is the Chicken and Waffles booth because, well... there's a giant sign that says "Chicken and Waffles" on top. 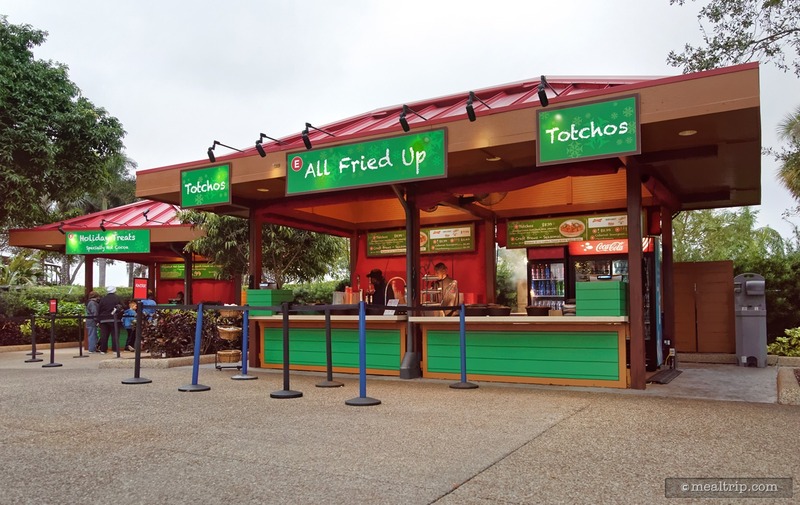 Although there doesn't seem to be any sort of consistent signage at the various locations, there's usually a red menu board somewhere around each booth that lists what's available. 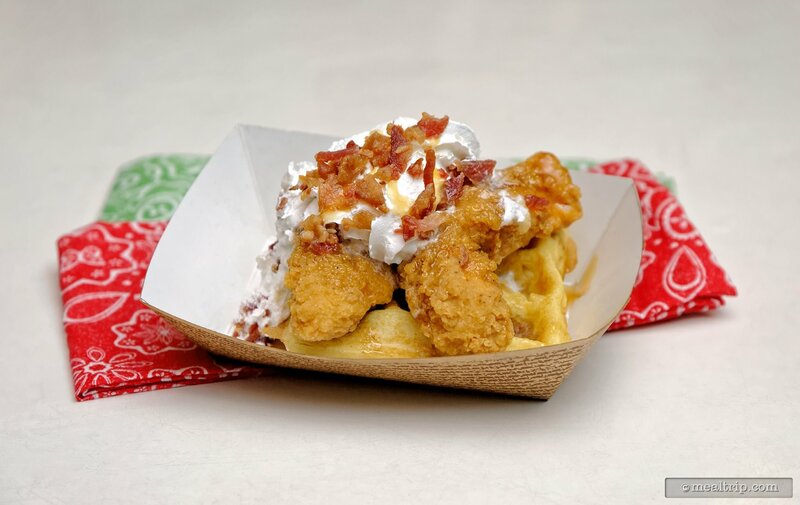 Over in this area, I found this kind of messy, but pretty tasty Chicken and Waffles item topped with bacon and caramel with maple syrup and whipped cream. This Chicken and Waffles "sample" was a little messy, but it sure was good! I'm not sure how big the "full platted" version (for $9.99) is, but this was a decent size for a sampler lanyard portion. Because I purchased the 10-sample lanyard (called the Gold Tasting Sampler for 2018)... the cost breakdown of this one Chicken and Waffles "sample" ended up being around $4.30! 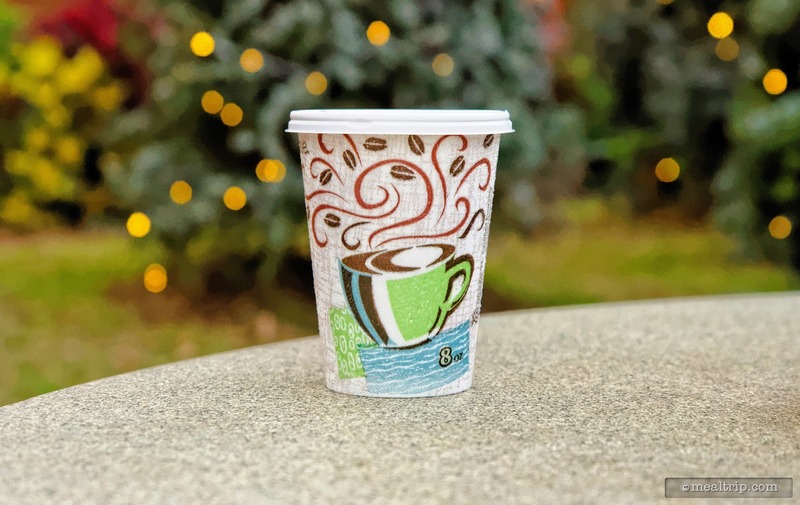 Even though most of these items are available as "full plate, single purchase" type of entries — everything that I've shown in this post was a "sample size" that you'll get with the SeaWorld Tasting and Brew Sampler Lanyard… which is a really great deal! This year, there's a "Gold Tasting and Brew Sampler" available for $40 (plus tax) which gets you 10 food or beverage samples. It's a little punch card and lanyard system, and the cashier will put a knock out a little punch each time you get a food or beverage sample. The lanyards are totally shareable with everyone in your party, and it's a great way to save. 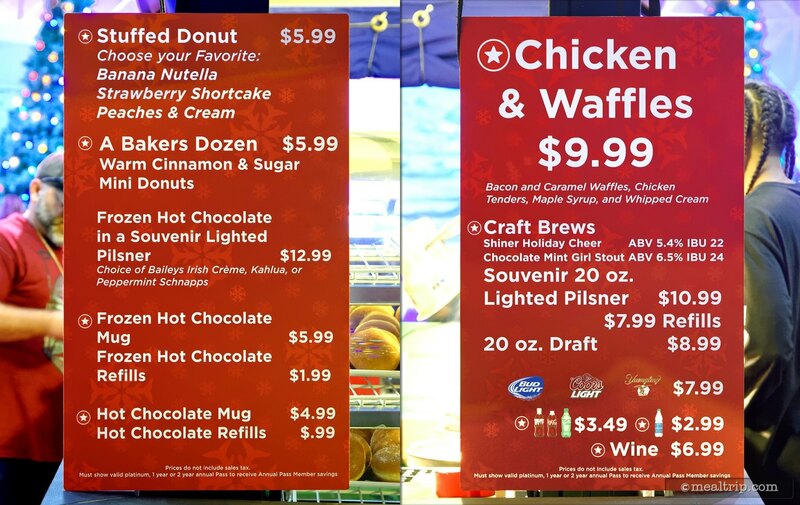 With the "Gold Sampler", each of the food and beverage items shown here would be just over $4 each! Ooooo, pretty! 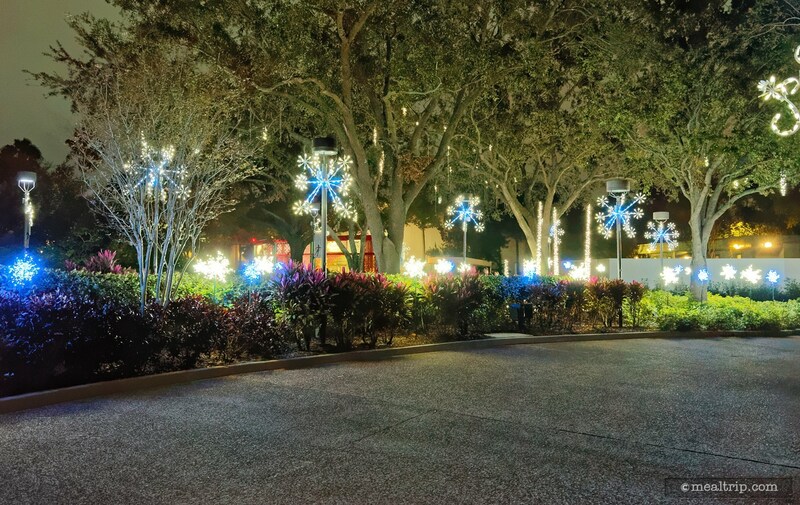 This little "snowflake environment" was located between the main festival area and the Wild Arctic area (just past Bayside Stadium). While all of the photos from this article were taken at the 2017 festival, I don't suspect the food quality, portion size, or set up has changed that much. It's been a great little collection of street inspired holiday comfort festival food for the past several years — with only a few flavor changes here and there. 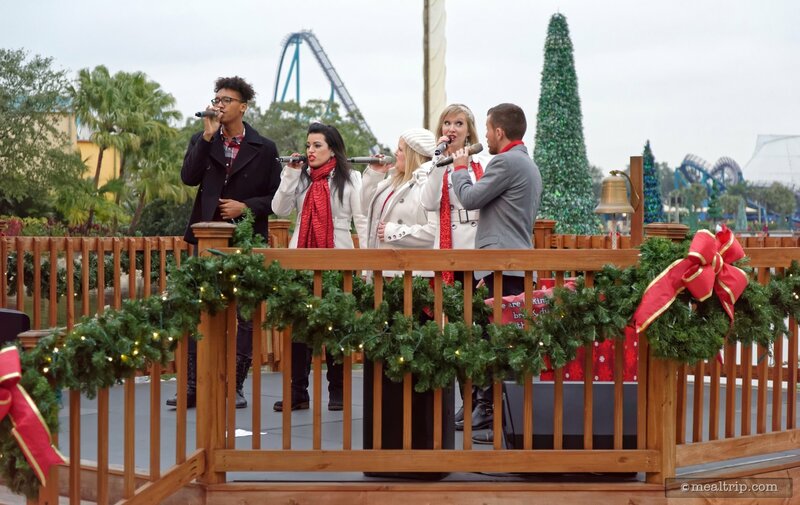 I hope to get over to SeaWorld soon to check out some of this year's food and beverages in the next couple of weeks!